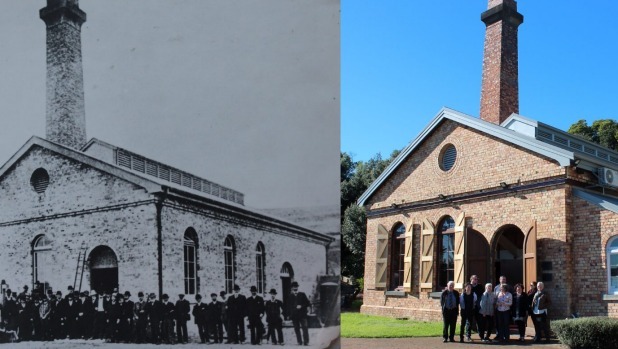 A once-abandoned water-pumping factory doomed for demolition is now celebrating its 40th year of being at the heart of Auckland North Shore’s theatre community. Takapuna’s The PumpHouse Theatre, perched on the banks of Lake Pupuke, is an inclusive, artist-led venue. To celebrate four decades of creativity and community, The PumpHouse is hosting an open day and performance on May 6. The PumpHouse prides itself on being the place where people in the community come to share their stories, business manager James Bell said. “Telling stories is an essential part of society,” Bell said. Since its opening in 1977, the theatre has staged performances including musicals, stand-up comedy, outdoor summer Shakespeare and poetry readings. “There’s a common misconception that it is only kids’ theatre and it’s not,” Bell said. For example, in the past 12 months, the theatre has presented: a transgender musical People Like Us, as well as bilingual theatre performances in te reo, Korero Purakau, and Mandarin, A Story About a Poet. The theatre also facilitates writing workshops, guiding wannabe playwrights through the writing process to seeing their work performed. The PumpHouse originally opened in 1906, and was responsible for getting clean water to North Shore residents. After it was pulled from on the brink of demolition in the 1970s, a group of community members decided the pumping station would be re-purposed for something a little different – a community theatre. “My favourite old photo is all the businessmen in their suits and top hats at the opening of the original building. What would they think of it today?” Bell says. Former council worker Genevieve Becroft was on of the people who rallied behind saving the old pumphouse. “It was very much a team effort. But that’s what happens when people get excited about an idea,” Becroft said. Attend the open day and explore the old building with backstage tours and a treasure hunt, May 6. The open day is followed by an evening showcase, featuring a series of short performances. Visit pumphouse.co.nz for more information.